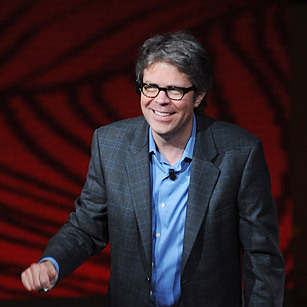 Franzen is an active member of a culturally endangered species: the American literary novelist. He's not the richest and he's not the most famous, but he is one of the most critically successful writers of this past decade. Franzen's 2001 book, The Corrections, was a literary phenomenon; it sold nearly 3 million copies worldwide. His fourth novel, Freedom, came out last summer. As she did with The Corrections, Oprah tapped Freedom for her book club, and this time, Franzen graciously accepted. It's an all-embracing social-realist novel that accurately explains who we are in ways that we'd almost prefer not to know.